JUNEAU — The Alaska House's proposed income tax has been abruptly removed from the Senate committees set to hear it and instead will be sent to the floor for a vote Friday as Senate leaders continued to voice opposition to the measure. 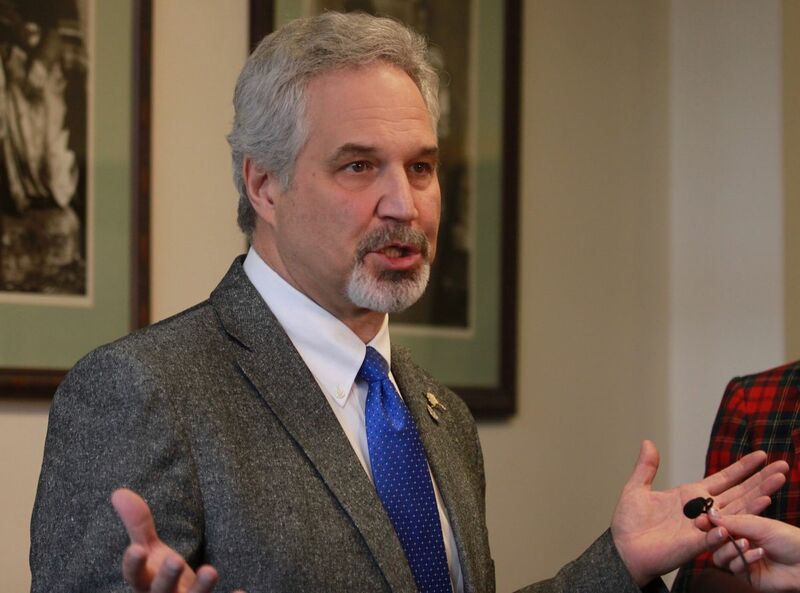 Senate President Pete Kelly, R-Fairbanks, has said several times the Senate is all that stands between Alaskans and an income tax — indicating the vote is a move to defeat the measure in the final days of the regular legislative session. Senate leaders typically won't advance a bill to the floor unless it has the votes to pass. The Senate's Republican-led majority advanced the legislation, House Bill 115, during a floor session Wednesday by allowing it to skip the labor and finance committees to which it was referred. Kelly wouldn't answer questions about the move, referring a reporter instead to a prepared statement that said the Senate would take action on the House proposal Friday. The largely Democratic House majority favors the income tax to help eliminate the state's $2.5 billion deficit — down from closer to $3 billion after a new revenue forecast last month. The House also favors reductions in Alaskans' Permanent Fund dividends and increased taxes on oil companies to reduce the deficit. The Senate majority supports dividend reductions but not the income-tax proposal, which would take more from high-earning Alaskans. The Senate is pushing for cuts to schools and the state university system and wants to use savings to cover a continuing deficit of hundreds of millions of dollars. "The Senate has delivered a solution that does not require taxing working Alaskans, and we stand by that proposal. We'll stand up Friday and be counted," the statement quoted Kelly as saying. Lawmakers, Kelly added, are charged with making decisions that require "political courage." Fairbanks Democratic Rep. David Guttenberg scoffed at the assertion, criticizing the spending cuts the Senate says would be necessary under its proposal. "I think that's the opposite of political courage," Guttenberg said. "That's kicking the can down the road." If the Senate rejects an income tax Friday, it wouldn't be the first time. That chamber voted 18-2 against a 2002 income tax plan that was also part of a proposed long-term fiscal plan for the state.